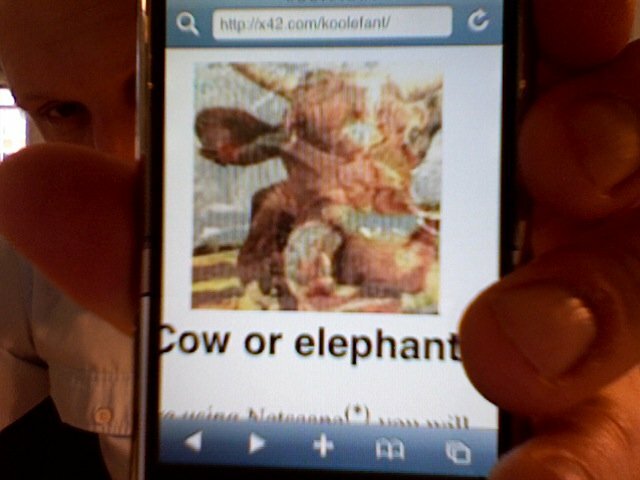 If you are using Netscape(*) you will probably see the happy cow above. Internet Explorer-users on Windows and Mac, however, will see a dead flat elephant. And this is due to a strange browser-feature. No programming whatsoever. It's all in your browserdifferences. Wisecraked in /netch/ silly departments back in 1997. © Copyright and all rights reserved.